Duct reducer lisp is used in HVAC systems design with AutoCAD. Air distribution systems like rectangular and round duct are designed with AutoCAD. In General version of AutoCAD software there is no automatic tools for drawing duct fittings like duct reducers. 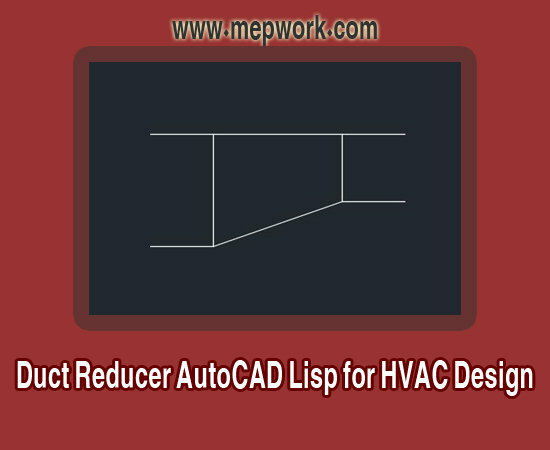 With this auto lisp you will able to make duct reducer fitting like in AutoCAD MEP. It is simple and easy to use autocad lisp. Just download the lisp upload it in AutoCAD and follow the instruction in command line. How to upload and use duct reducer lisp?